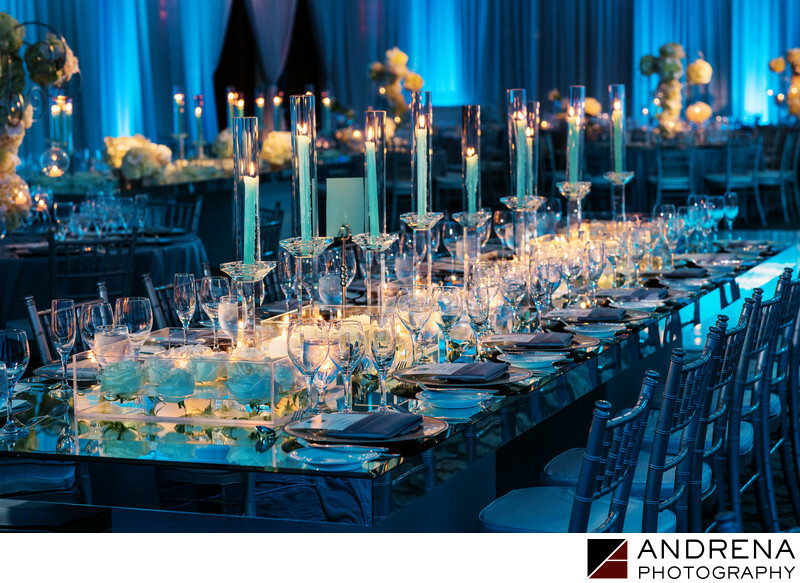 The use of mirrored tables always adds elegance to reception decor. In this case, florist Fayaz at Bloom Box Designs uses a combination of mirrored tables, lucite chairs, chivari chairs and candles to create a stunning reception in a blue and white palette. This was the second wedding I photographed in this family, so it was a pleasure to work with them again. This wedding ran on the Maharani Weddings blog.